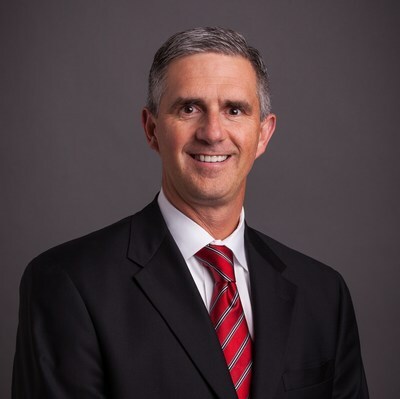 KANSAS CITY, Mo., April 3, 2019 /PRNewswire/ -- Mike DeBacker has been named general manager of the Transportation Global Practice at Burns & McDonnell. With nearly three decades of experience in transportation policy, planning and design, he will assume the role when current general manager Ben Biller retires in July. "In an era of driverless cars and aging infrastructures, the transportation industry is being completely reimagined," says Ray Kowalik, chairman and CEO, Burns & McDonnell. "It's more important than ever to have a leader who is visionary and can continue to drive us forward. Mike's extensive knowledge of transportation policy and bold approach to future planning are critical for our industry." Mike joined Burns & McDonnell in 2007 and has managed and participated in transportation studies and projects with the Federal Highway Administration, turnpike and tollway authorities, departments of transportation, city and county governments, and private industry. He has managed many large, complex bridge, highway and rail studies and projects around the country. Mike has led innovative transportation studies forecasting future transportation needs, including multistate corridor planning projects. He directed the first-ever planning and environmental linkages (PEL) study in the Kansas City region with the Mid-America Regional Council. The study provided alternatives for the aging Buck O'Neil (Broadway) Bridge over the Missouri River. The project identified significant opportunities in the downtown Kansas City freeway loop system and transportation network of the central business district, and the direct impacts to land uses, development and urban revitalization. "Transportation is the lifeblood of commerce, innovation and everyday life for all of us," DeBacker says. "It is a privilege to lead a team that is committed to partnering with our clients and policymakers across the country. As a trusted partner, our mission is to make our clients successful to reimagining, maintaining and building innovative transportation infrastructure that will support us for generations." Mike is the co-champion of the Big 5 transportation initiative, an effort with the Greater Kansas City Chamber of Commerce to develop future transportation strategies for the region. He is also past chairman of the American Council of Engineering Companies for Missouri, leadership academy of the International Bridge, Tunnel & Turnpike Association and serves in several roles with chambers of commerce and nonprofit organizations. Mike holds a Bachelor of Science in civil engineering from the University of Missouri-Columbia and a Master of Business Administration from the University of Kansas. He is a registered professional engineer in Missouri, Massachusetts and Florida. Mike and his wife, Darla, have four children and live in Kansas City, Missouri. Burns & McDonnell is a family of companies made up of 7,000 engineers, architects, construction professionals, scientists, consultants and entrepreneurs with offices across the country and throughout the world. We strive to create amazing success for our clients and amazing careers for our employee-owners. Burns & McDonnell is 100 percent employee-owned and is proud to be on Fortune's 2019 list of 100 Best Companies to Work For.For more information, visit burnsmcd.com.